Most web-based casinos offer at least several methods for depositing and withdrawing from your gaming balance. Prepaid cards can be found almost everywhere, as they have become incredibly popular among gamblers in recent years. Roulette enthusiasts have the opportunity to play all kinds of versions of the classic casino game online. Most casino websites offer practice mode where punters can place bets worth free play credits, instead of real money. While this option is a fantastic way to test a casino game and learn all its basics, it does not allow you to win real money. The only way to do that is to make a deposit into the casino of your choosing and start spending funds from your balance. Despite not being the most popular methods for depositing into online casinos, prepaid cards are actually among the most convenient and secure options you have. A major reason for that is the fact that unlike credit cards, for instance, they do not contain an almost unlimited amount of money. On the contrary, they are loaded with a fixed amount of funds (usually small sums), so you cannot spend more than you have initially planned to. More importantly, you cannot spend money you do not have, as it is with credit cards. This aspect of the different prepaid cards makes them the ideal tool for controlling your gambling-related spending. Although the technology of prepaid cards sounds much simpler than the structure behind credit and debit cards, the prepaid voucher or card is a more recent invention. It all started in 1950 when the first universal credit card was introduced by Diners’ Club in the United States. It could be used in multiple establishments across the country, unlike some earlier versions of credit cards which were issued by some companies with the purpose of making purchases at their outlets only. Later, in 1958, American Express Company started issuing the so-called travel and entertainment card, which was also universally accepted. The bank credit card system was developed and major brands such as Visa and MasterCard appeared on the market. Two decades later computers made a revolution in the banking system and by the middle of the 1980s, automated teller machines, now widely known as ATMs, and debit cards linked to bank accounts were widely spread. Unlike credit cards, which contained a line of credit, debit cards allowed customers to make payments electronically with the funds held in their own bank accounts. They gradually replaced paper cheques, which were seen old-fashioned, slower and generally less convenient than debit cards. Prepaid cards, on the other hand, started out as gift cards and phone cards in the 80’s, but did not evolve into universally accepted payment method until recently. Today, prepaid cards are considered a great alternative to both cheques and debit cards because of the many benefits they come with. They do not require opening a bank account or going through a long application process, they can be used for a wide variety of things, and they provide customers with enhanced security. More importantly for roulette aficionados – prepaid cards are accepted at many online casinos and deposits made via them are processed instantly. But are they the perfect banking method for you? In the sections below, you will find out how and where to use them, what their benefits are, and what types of prepaid vouchers there are. Prepaid cards function in a simple, easy to understand manner – they are loaded with a fixed amount of money and their value is paid in advance by the client. They differ significantly from other banking cards. Unlike credit cards, they do not allow the customer to exceed the predetermined value. And unlike debit cards, they do not need to be linked to a bank account. In fact, you can acquire them not only from large financial institutions and card issuers but from different stores and sales outlets. The prepaid cards come in various types and forms – they can be paper vouchers, virtual cards, and many others. Sometimes, they are called stored-value cards, which means that the monetary value is stored in the card itself. This applies to the to plastic prepaid cards; with virtual ones, the money is stored electronically and is transferred whenever the cardholder authorizes a payment. In both cases, the value of the card, as well as any user’s information is virtually stored and encrypted. Moreover, no information is disclosed to the merchant during the transaction. This means that in many cases, not only the transaction date is kept private but customers remain perfectly anonymous. When it comes to making casino deposits via prepaid cards, players have several alternatives. They can purchase cards, use them once and forget about them, or they can find cards that allow loading with funds multiple times. Most prepaid cards cannot be used for withdrawals, so punters will need to find alternative methods for cashing out their winnings. These types of prepaid cards are widespread across multiple industries and can be purchased at banks, kiosks, retail stores, etc. Once the balance stored in them is depleted, they cannot be loaded with funds. They are extremely popular for online shopping and often, are accepted by various merchants. In addition, they are ideal for online gambling because they come in fixed denominations, offer great convenience and high levels of security. They usually expire several months after being purchased, so you need to use them before that. There are many brands of disposable cards, most of which are national and available only for certain countries. They are easy to use – you need to choose a fixed denomination (the value stored in them), and upon using them, you will need to provide the card’s unique number or PIN displayed on it. Usually, there are minimal or no additional fees when purchasing this type of card. Depositing into online casinos is also simple and fees are rarely charged. Reloadable cards are another type of prepaid solutions which are typically sold by banks or other financial service providers. These cards function much like debit cards – you buy a card in a fixed denomination and when the funds in it are exhausted, you can reload it and use it multiple times. Unlike the debit card, however, this card is not necessarily linked to your bank account. You can load it with funds via a bank account, but you can also do it via credit or debit cards, digital wallets, wire transfers, and more. Roulette players need to take into account the monthly fees these cards usually come with because they can be quite high compared to the fees associated with credit cards or e-wallets. There may also be fees imposed every time you reload your card. The reloadable card will be very similar to a typical credit/debit card – it will have an identification number (PIN) and expiration date. When you use it for making purchases or for depositing into online casinos, you may be required to provide your name. There is a wide range of reloadable cards by some of the leading brands in the industry, including Visa, MasterCard, and American Express. The popular e-wallet Neteller also offers a reloadable prepaid card, which is accepted by many online gambling providers and can be used even for withdrawing funds from your casino balance. Gift cards, also known as gift certificates, emerged several decades ago and since then, they have been a popular alternative to the hunt for specific gifts for your loved ones. They also come in fixed denominations but are often limited to a particular retail brand. When you receive a gift card, you can exchange it for goods and merchandise worth its value. Typically, these gift certificates are offered by fashion stores or lifestyle brands and can be used for receiving clothing, shoes, fashion accessories, or travel experiences for free. In this case, the card will have a magnetic stripe in order to be read at retail outlets. Usually, any additional fees will be included in the cost of the gift card and you will not need to pay any fees when purchasing it and when using it in stores or online. Sometimes, these gift cards are also offered by banks and other financial institutions. If that is the case, such cards can be used for making a free, instant deposit into web-based casinos. Withdrawals to gift cards, however, are impossible. Unlike most prepaid cards on the market, virtual prepaid cards are specifically designed for online use. For this reason, they are considered extremely convenient for making deposits into online casinos. You will find multiple brands and types of virtual cards – they can be reloadable or one-use cards, depending on the company issuing them. When you choose the denomination of the virtual prepaid card, you will purchase it online and pay using your credit card, online banking or e-wallet. You will be given a PIN code or other number for the card, an expiration date, or even a CVC/CVV code, which is typically found in credit and debit cards. Depositing into online casinos using this type of card resembles using a credit card, so it should be pretty straight-forward for most casino players. As you can imagine, virtual prepaid cards are very flexible and convenient, but one of the best things about them is that sometimes, you can withdraw your winnings to them. Thus, many virtual cards can actually function almost as digital wallets. However, each time you reload your virtual card you may be charged quite steep fees. Prepaid cards are among the fastest growing non-cash payment methods in recent years because they are seen by customers as flexible, secure and simple to use. Most reputable online casinos today offer at least one or two types of prepaid cards as a deposit option, while sometimes, these cards are perfect for receiving funds, as well. Popular credit card issuers such as MasterCard and Visa have prepaid solutions and in partnership with other payment service providers, they offer a wide range of products to their customers in each country. But there are many other prepaid cards you can find and below, you will see some of the most commonly used prepaid solutions in casino websites. The prepaid plastic Paysafecard is the main product of Paysafe, a leading provider of online payment services. This card can be purchased from thousands of sale outlets across Europe and the Middle East, North and South America, Australia and New Zealand and used for online payments at multiple online shops and web-based casinos. It is available in the following denominations – £10, £25, £50, £75, and £100 or additionally £125, £150, and £175, if you buy it from PayPoint. Paysafecard supports more than 20 currencies, including GBP, EUR, USD, CAD, AUD, NZD, SEK, NOK, DKK, BGN, PLN, and more. The card has a 16-digit PIN code which you need to provide every time you use the card online. You will not be required to share any additional information such as name or address with the merchant or, in this case, the casino. You will be able to make instant deposits into your gaming balance Paysafecard can be used multiple times until the stored funds in it are exhausted. You can easily check the balance of your card by entering its PIN on the official website of the service. There is another option called My paysafecard – it allows you to register an account, using your personal details. Then, you can purchase as many prepaid cards as you wish and store all their PINs in one place. You will be able to use My paysafecard account almost like an e-wallet – when you make online purchases or casino deposits, you will simply log into your account and authorize the payment without entering PIN codes. Using Paysafecard is usually free, but there is a currency conversion fee of up to 4.04%, depending on the particular currencies. There are also certain limits you need to consider – the minimum amount you can deposit via this card is £10 and the maximum is usually £250. Withdrawals cannot be made using Paysafecard. Entropay was the first virtual prepaid card in Europe when it first appeared more than a decade ago. Today, it is a popular tool for making online payments and deposits into casinos. In order to receive this card, you need to register an account at the official website of the service with your full name, email address, and date of birth. Entropay is available in three currencies – EUR, GBP, and USD. The account gives you a prepaid virtual Visa card which can be used wherever Visa is accepted. You can easily create and delete cards when you do not need them anymore. You can fund them in a matter of seconds from your credit/debit card or from another Entropay card. Then, you will be able to make instant deposits into your preferred online casino. The minimum and maximum amount of funds you can deposit will depend on the casino, but there are certain fees you will need to pay when topping up your Entropay card. If you load funds from another Entropay card, this will cost you £0.10, while topping up using a credit or debit card comes with a fee of 4.95% per transfer. Most online casinos offer Entropay only as a deposit option, but if you create an Entropay wallet, you will be able to use it for receiving your winnings, as well. This is another product offered by the company and just like the prepaid card, it is free to register and use. EcoPayz is a global provider of payment services that offer various solutions specifically designed for individuals and businesses. Casino players who decide to sign up can receive a prepaid ecoCard, which is available in all 31 EU/EEA states and supports GBP, EUR, and USD. The plastic prepaid card can be used just like a debit card – you can shop online or make deposits into online casinos. Typically, there are no processing fees, but transactions to some online casinos are charged a 4% service fee. In addition, some gambling operators process withdrawals to these cards, as well, and fees are up to 4% of the transferred amount of funds. When you withdraw cash from your ecoCard, a fee of 2% will be charged (£1.50). In addition, the maximum amount per single online transaction is £1,000, with up to 5 transfers daily. 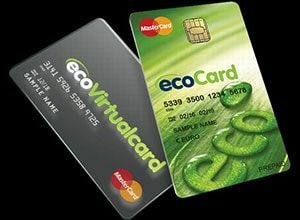 The ecoVirtualcard, on the other hand, is a prepaid disposable card, which is available to anyone who registers an ecoAccount on the website of the service. It is issued instantly for a £1.50 fee, but almost everything comes at no cost. Of course, there is a charge of 4% on gaming and lottery-related transactions, but it applies only in certain casinos, so before registering for this virtual prepaid card, you may want to check the fees and limits at the casino you are playing at. Every day you can create up to 3 cards and transfer up to £2,100 (£700 per single transaction). You will not be able to use the ecoVirtualcard for withdrawing your winnings from the casino. Making a deposit into online casinos via prepaid cards, whether plastic or virtual, is extremely fast and simple. When you visit the Cashier page of the website, you should look for options, named either Prepaid Card or displayed with its brand name – Paysafecard, Entropay, etc. In case you have a MasterCard, Maestro, or Visa prepaid card, you can simply choose one those three options from the list of available deposit methods. The next steps of the process are very easy if you follow the onscreen instructions – in a new window, you may be asked to provide the number of the card, its PIN and expiration date, or with some types of cards, the name of the cardholder. Similarly to credit and debit cards, the name on the card should match the full name you have provided the website with. The deposited funds will be displayed immediately in your gaming balance, so you will be able to start playing your favourite games within minutes. In most cases, these transactions are completely free of charge. Typically, prepaid cards cannot be used for cashing out from online casinos but there are certain exceptions to this rule. One of them is Entropay Visa Virtual Card, but you should know that only some casinos offer such cards for processing withdrawals. If you choose to retrieve your winnings to your Entropay card, the funds will be transferred within 24 hours (or a bit longer, depending on the pending time of withdrawal requests in the casino you play at). One of the biggest advantages of prepaid cards is the security and anonymity they offer. In most cases, you do not need to provide any personal details (name, address or date of birth) when you purchase prepaid cards. More importantly, the only information visible to the gambling operator or any other third parties when you are making a deposit or any kind of online payment is the number of the card. You do not need to disclose any sensitive data such as banking or credit card information. This is extremely important especially these days when most Internet users cannot protect themselves from the constantly increasing number of malware types and hacks. In order to provide their customers with a safe gaming or shopping experience on the web, however, almost all banks, financial services providers and other issuers of prepaid cards employ modern, innovative security measures. On their websites, they use encryption which guarantees that any communication will remain private. In addition, many prepaid cards feature two and even three-factor authentication, coming in the form of passwords, PIN codes, verification codes, and more.